Earth in the Year 2015: Can You Ace the KQED Science Quiz? From planetology to paleontology, 2015 was full of news in the Earth sciences. Ace this 20-question quiz and you'll have plenty of planetary tidbits from KQED Science to quick-turn an awkward conversation at your holiday table. Who doesn't need that? It's the ultimate selfie: NASA launched this satellite that hovers between Earth and the Sun, taking snapshots of the whole planet about 15 times a day. Do you know its name? Scientists reported that the ash from some volcanoes contains abundant spherules -- glassy droplets as fine as powder -- that don't arise from the splashing and explosions of lava. What makes them instead? Sediments in the bottom of a rare sinkhole show that a very large tsunami, triggered by a magnitude-9 quake in Alaska, struck this state about 500 years ago. What state is that? 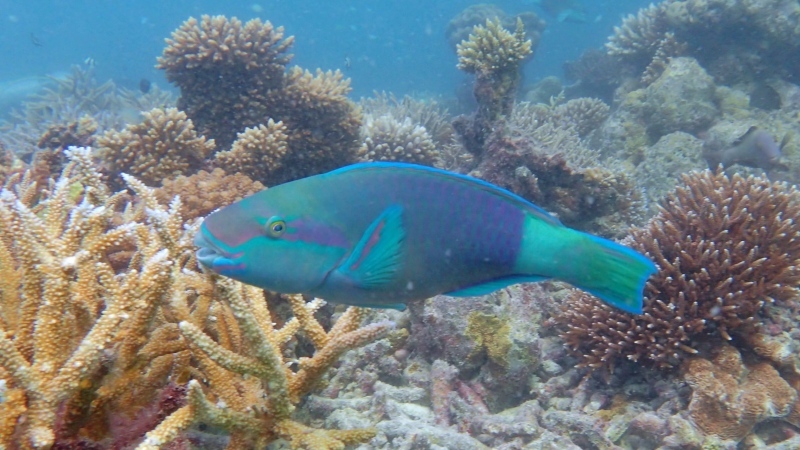 A study showed that the coral-sand islands of the Maldives are maintained by the activity of parrotfish. What do the fish do? Researchers found that parts of Mars contain hydrated minerals, as well as dark streaks in the ground that appear during the Martian summer. What did they conclude? Last month, the level of carbon dioxide in the atmosphere rose above a round number and will not go back below it in the foreseeable future. What is that number? Two groups of scientists called for research programs to study the invisible ecosystems of microscopic organisms found everywhere we look. What's the name for those ecosystems? Early this year a spacecraft named MESSENGER ended several years of planetary observations by crashing into its target. What is that planet? NASA's New Horizons spacecraft sent back images of high mountain ranges, plus what look like volcanoes and glaciers, on a place it took more than 9 years to reach. What is that distant world? A fossil study proposed that the ancient soft-bodied creatures called Ediacarans went extinct when newly evolved animals ruined their habitat. What scientist first proposed this kind of extinction? In December, NOAA reported that the previous month was the warmest November ever recorded. How many record-breaking months in a row did that make? 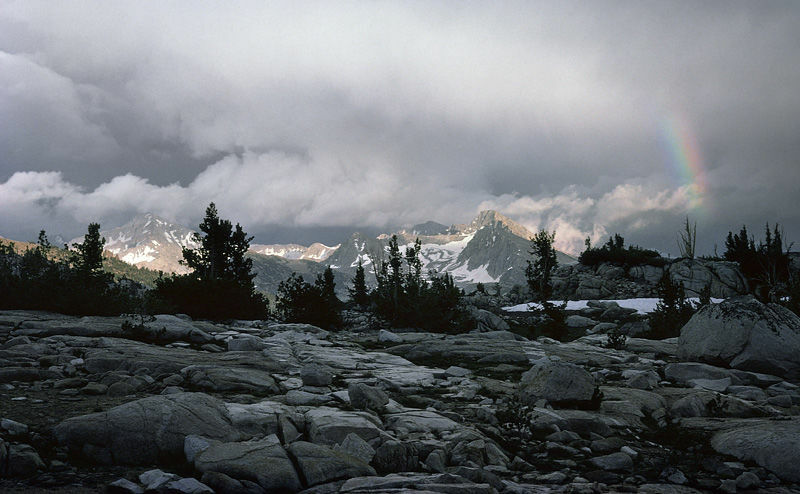 A new National Monument was established in northern California that displays signs of dramatic geologic activity including the clash of tectonic plates, volcanic eruptions and the wrenching of modern earthquake faults. Do you know its name? True or false? A strong El Niño has been active since early summer. 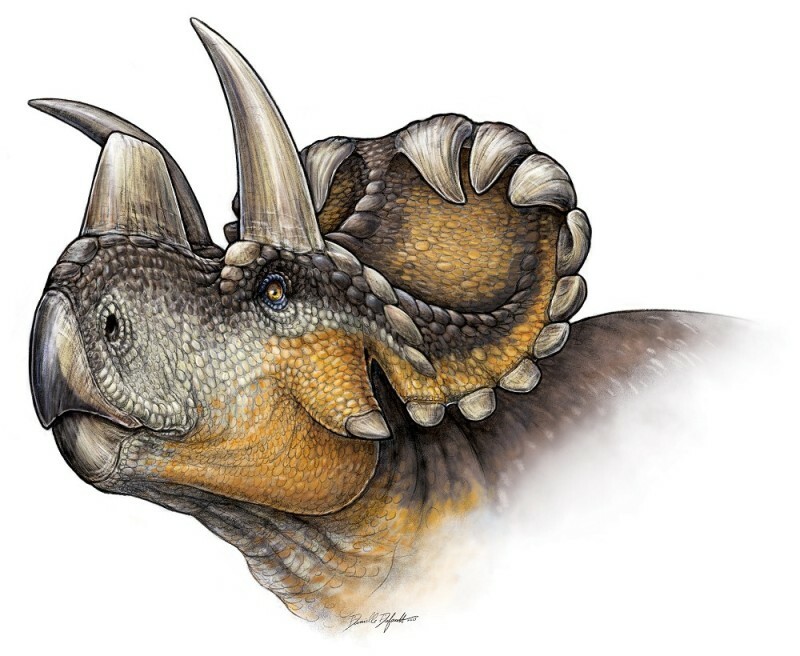 Fossils of a three-horned dinosaur with a flamboyant bony frill behind its head were found in a Canadian park and assigned the name Wendiceratops pinhornensis. Why that name? After an earthquake rips the ground, you can walk around the fresh geological evidence taking snapshots, and scientists can turn those images into an accurate 3D model. What's the name of that technique? A widely used record of the Sun's historical activity was revised, erasing an apparent increase in solar energy that some researchers used to argue against greenhouse warming. What is that record? Researchers showed that the Hayward fault is closely connected to a neighboring fault, making it more likely than previously thought that both can rupture together in an earthquake the size of 1906's Big One. What's the second fault? Clever observations by a spacecraft peeking through dense clouds yielded conclusive evidence of volcanoes caught in the act of erupting. What planet was this? After 100 years of guessing, a fossil study of stegosaurs -- those big dinosaurs with the rows of bony plates down their backs -- found a way to tell the males and females apart. What is it? The U.S. Geological Survey updated its long-term earthquake forecast this year. Which Bay Area earthquake fault is considered most likely to cause a major quake over the next few decades? Here are the answers, each linked to its KQED Science story. The "selfie satellite" is DSCOVR, or Deep Space Climate Observatory. 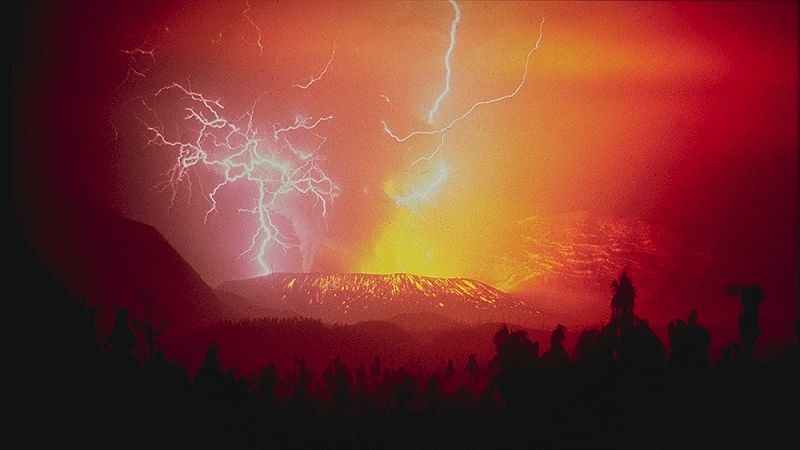 The new variety of spherule is made when lightning lashes the ash-filled clouds above erupting volcanoes. Hawaii is the state, and the Makauwahi sinkhole in Kauai has the evidence. The parrotfish manufacture sand for the Maldives islands by crunching on large corals and pooping out the grit. NASA scientists announced they had "the strongest evidence yet that liquid water flows intermittently on present-day Mars." In mid-November the CO2 level at the standard observatory in Hawaii exceeded 400 parts per million, for good. These worlds of microbes, found in soils, our skins and our digestive tracts, are called microbiomes. The planet was Mercury, the one nearest to the Sun. 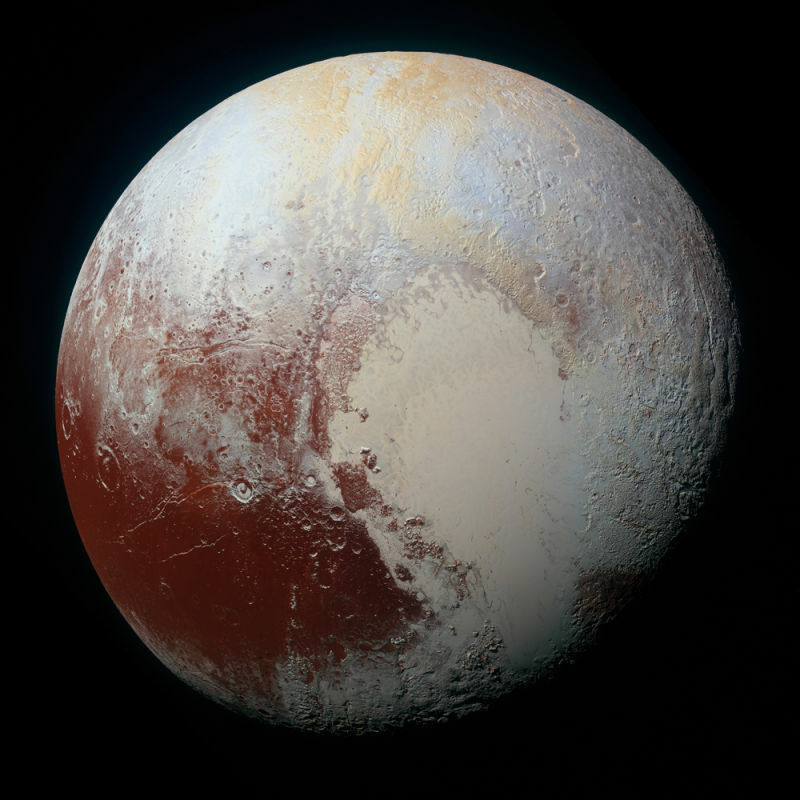 New Horizons found volcanoes of ice water and glaciers of solid nitrogen on the dwarf planet Pluto. Unlike other mass extinctions, which had catastrophic causes, the Ediacaran mass extinction is the first example ever found of "biotic replacement," the mechanism proposed in 1859 by Charles Darwin. In 2015, November was the seventh month in a row that was the warmest on record. The new park, in the heart of the Coast Range, is Berryessa Snow Mountain National Monument, although lots of California parklands feature this kind of geology. It's true; El Niño is a tropical weather pattern that was strong back in June, in the tropics, but it's barely starting to affect California now in late December. Wendiceratops pinhornensis, an early relative of Triceratops, was named in honor of amateur fossil hunter Wendy Sloboda and the Pinhorn Provincial Grazing Reserve, where its bones were dug up. 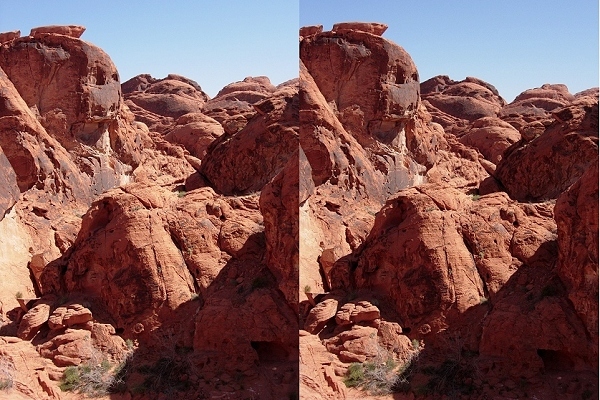 The surprisingly effective image-stitching technique, stereoscopic viewing on steroids, is called "Structure from Motion," or SfM. The historical record of solar activity is based on a quantity called the sunspot number. The Hayward fault could form a megafault with its southern neighbor that runs from San Jose past Gilroy -- the Calaveras fault. The evidence of fresh pools of red-hot lava was seen through the thick atmosphere of Venus. Stegosaurs appear to have had differently shaped spinal plates in males and females. The Hayward fault is given one-in-seven odds of a massive rupture between now and 2045.